9 Acres! For your summer or winter get-away, escape to the North & relax! 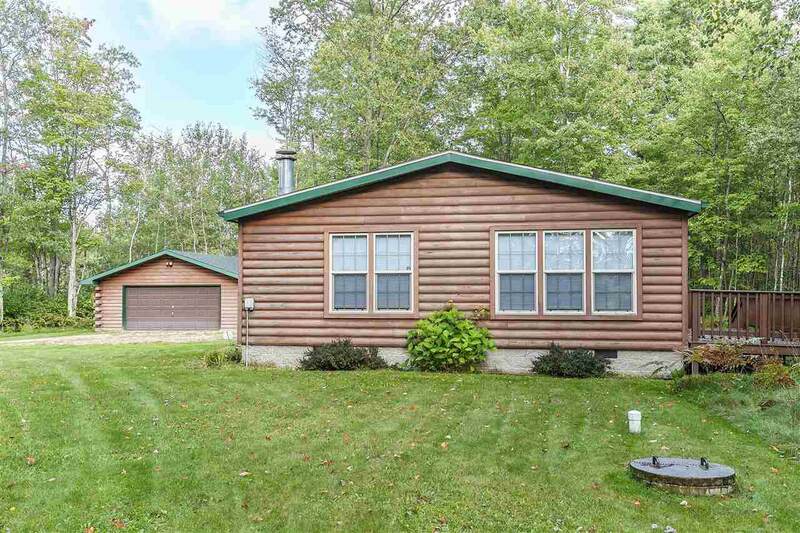 This 3 BR, 2 full bath home/cabin is well maintained and sits on over 9 beautiful acres with public land nearby for hunting. 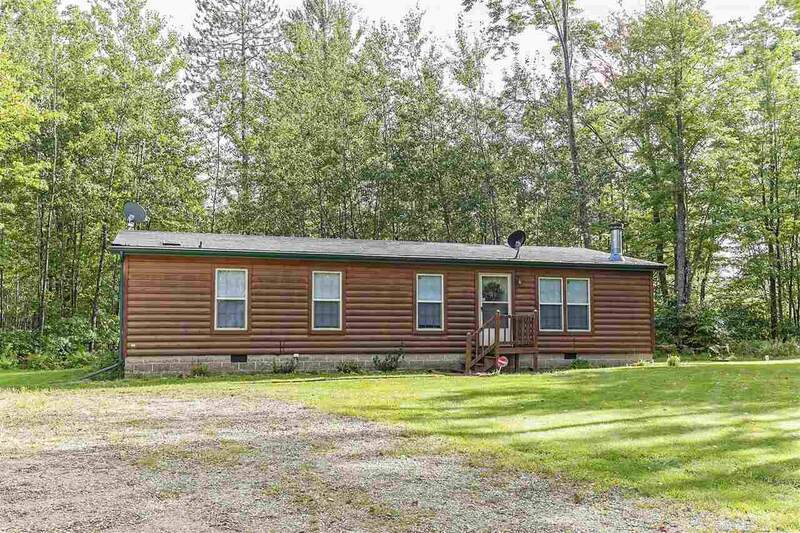 This is a manufactured home w/ an open concept & vaulted ceilings, kitchen features an abundance of cabinets & center island. Dining area w/ access to deck in backyard. Living room with gorgeous stone fireplace. Master bed/w private bath. Exterior is half log sided. 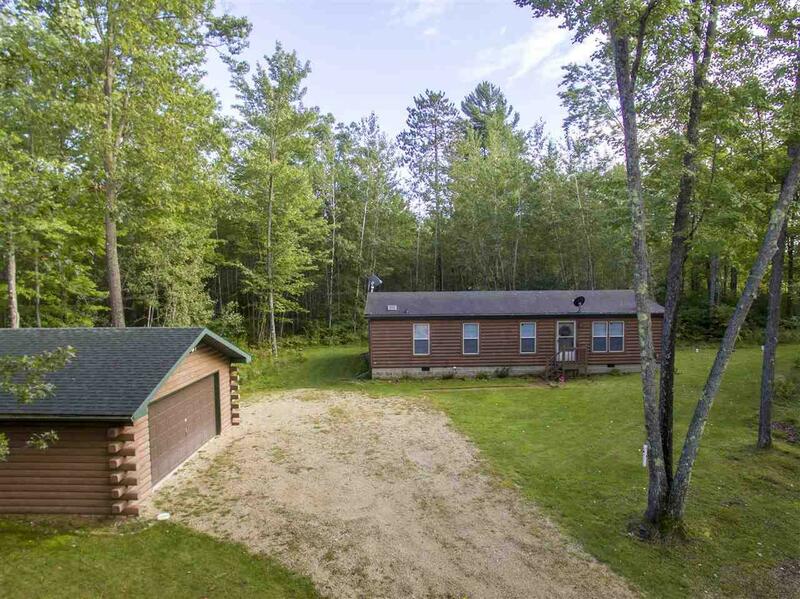 Spacious 2+ car detached garage. 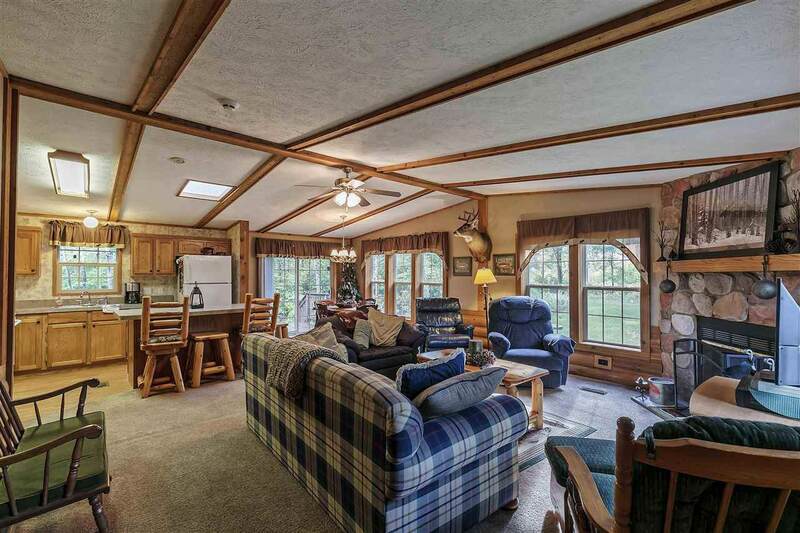 Close to Pike River for great trout fishing & many ATV & snowmobile trails nearby. Must see!